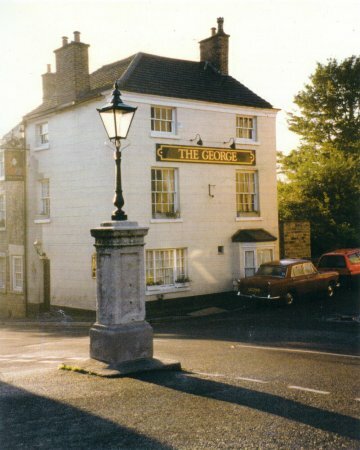 "The George" in Coldwell Street closed about 1998, and is now a private house. Newton's monument is in the foreground. Long an Inn, it was run by Samuel Harley in 1841.